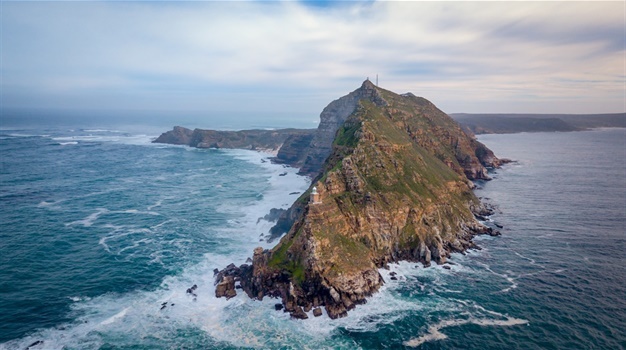 Cape Town - UK's food catering site, Caterwings has put Cape Town and Durban on the top 100 list of the worlds's best food destinations after analysing thousands of established food hubs and hidden provincial gems to determine the final list. Ranked at 48 (Cape Town) and 69 (Durban), both cities came in ahead of foodie destinations like Antwerp in Belgium, Ho Chi Minh City in Vietnam, Palermo in Italy and Bali in Indonesia. The top spot went to San Sebastián in Spain, second place to Tokyo, Japan and third place went to New York City in USA - see the full list here. Caterwings says with food tourism as one of the fastest growing travel trends, cities all over the world are now vying for the accolade of the best food destination. The intimate space, that is both eatery and contemporary art gallery, features a menu consisting of a multitude of 'small plates' of modern global dishes. There is also a dedicated cocktail bar and an accompanying list of boutique wines to complement the varied creations on the menu at The Pot Luck Club - see Food24. The menu at The Chefs Table centers around fresh local and seasonal ingredients, changes (slightly) daily and dishes are inspired by what's readily available on the day. The restaurant boasts a beautiful open plan kitchen where Executive Chef Kayla-Ann Osborn and her brigade of 12 qualified chefs can be seen performing their culinary magic - see Food24. Caterwings says they commissioned this study by incorporating ratings from 20 000 food journalists and restaurant critics, to reveal the ultimate 100 best food destinations. They considered which criteria were paramount to food lovers to create several other scalable factors to rank the cities. "For instance, we know that many foodies would be infinitely happier with freshly prepared fish beside the seaside than going to a Michelin star restaurant." "Therefore, the number of highly rated chefs and eateries is equally as important as the number of mouth-watering street food options available. For this reason, we focused on both the quality and the variety of cuisine on offer," says Caterwings. Added to that, Caterwings also calculated how many hours a person on minimum wage would have to work in order to afford a two-person dinner in a restaurant. ALSO SEE: Mapped: A night out in 31 countries, can you guess what time SA eats dinner? "We looked at factors such as the availability of vegetarian/vegan options, the quality of street food, and the percentage of fast food chains as compared to restaurants." When asked to rate which cities had the best quality of food service, experts ranked San Sebastian, Spain first, followed jointly by Oslo (Norway), London (UK) and Zurich (Switzerland). Jeonju, South Korea has the lowest percentage of fast food outlets as compared to restaurants at 0.06%, followed by fellow South Korean city Seoul and Japanese city Osaka. San Sebastian, Spain ranks first for high-end restaurants, followed by Tokyo, Japan and Paris, France. San Fernando - Pampanga, Philippines comes out on top for street food, followed by American cities Honolulu and Austin.